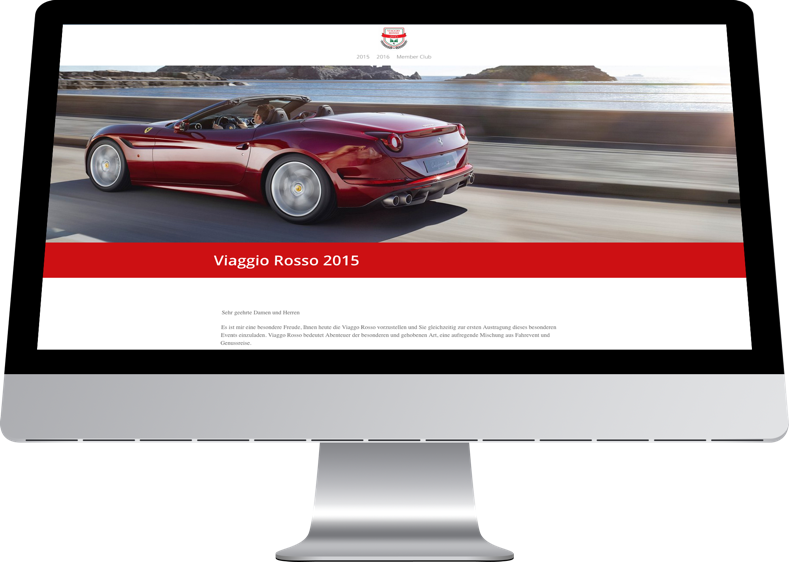 Right after organizing his first event the customer wanted to create a dedicated website for the tour including the pictures of Viaggio Rosso 2015 / 2016. Moreover they wanted to show to potential new customers what the event is about and convey driving emotion on the beautiful road of Toscana. The deadline was 3 weeks. ClickOn developed a website based on the WordPress platform. In order to reach as many people as possible, solutions such as a simple, elegant and user-friendly design and innovative features that make the website individual were used. ClickOn realized that this project aim was – conveying emotions. During the tour, a video was recorded with state-of-the-art drone technology, which made the tour an unforgettable experience. This video was then edited and made available as a teaser for the next Viaggio Rosso. By combining his experience in developing video and web design, ClickOn has integrated the video on Viaggio Rosso’s website, so that it is automatically launches when users arrives to the website. The site offers a Member Club, where the user can view a nice photo gallery of the tour after logging in. Visitor of the site can download pictures with a few clicks. The website is also designed from the ground up to react quickly and be compatible with all tablets and mobile devices. The video was visioned a couple of thousand time since the launch of the site.